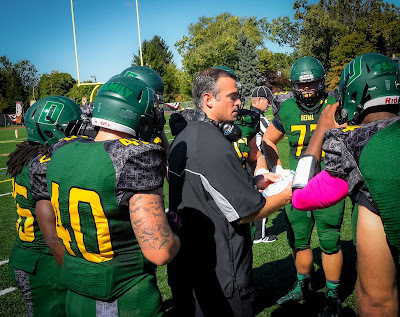 DOYLESTOWN (PA) – The Delaware Valley University football team moved up five spots in this week’sD3football.com Top 25 Poll and made its first appearance of the season in the American Football Coaches Association (AFCA) Top 25 Poll. The Aggies are ranked 19th in the nation by D3football.com and 21st by the AFCA. DelVal is the only MAC team in the D3football.com ranking while the Aggies are one spot behind Albright College in the AFCA poll. The accolades came after DelVal’s sixth straight victory, a 28-21 home decision against Lebanon Valley College. With two games remaining, the Aggies control their own destiny in the hunt for a conference title and NCAA playoff berth. DelVal travels to Lycoming College for a MAC contest on Saturday, November 7 (1:00 p.m.).